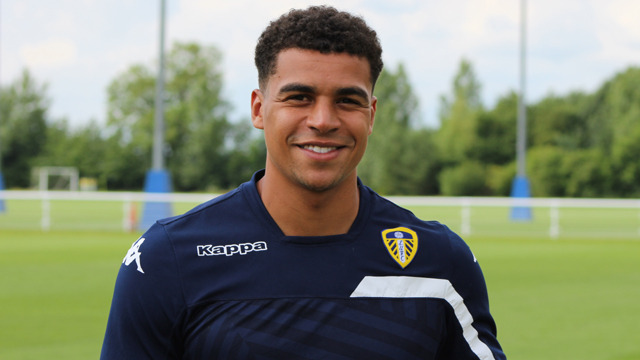 We are pleased to announce the signing of midfielder Tom Adeyemi on a season-long loan from Cardiff City. Adeyemi, who joins with a view to a permanent deal, becomes our fifth arrival of the summer so far. The 23-year-old, a product of Norwich City’s youth system, follows former Cardiff team-mate Charlie Horton, Lee Erwin, Sol Bamba and Chris Wood in making the switch to Elland Road this summer. Adeyemi’s career began at Carrow Road and he made his senior debut aged 17, before going on to enjoy fruitful loan spells with Bradford City, Oldham Athletic and Brentford - playing under Uwe Rosler at the latter - as he gained valuable first-team experience. As a youngster he declined an offer from Cambridge University to pursue his footballing career, and March 2010 saw him named as the League One Apprentice of the Year, an accolade recently won at Championship level by United’s Lewis Cook. Adeyemi’s five years as a professional with Norwich – totalling 17 appearances for the Canaries - came to an end in summer 2013 and Birmingham City subsequently snapped him up on a two-year deal. The midfielder became an integral part of the Blues’ team, making 40 appearances and scoring three goals along the way to being named as the club’s Young Player of the Year in his debut season. Adeyemi was chosen as Birmingham’s vice-captain at the start of the last campaign, but Cardiff moved to take him to South Wales over the summer in a deal reported to have been worth over £1million. He featured 23 times in all competitions during 2014/15 and will now add to Rosler’s midfield options as the head coach readies his side for the new Championship season.